Ah, the curse of Christmas....and every other school holiday actually. So, 'tis the season and all that. Everyone is happy, everyone is excited, everyone can't wait for a bit of time off work or school (I realise this is a huge sweeping statement and there may be many among you who hate the festive season but please, just go with me for a minute). Unfortunately for the self employed teachers out there it also means cancellations and a drop in income. I set up as a singing teacher about 5 years ago and, at first, I had another job to supplement the little income I had coming in from teaching but now, three years on, all I do is teach singing. When I initially decided to go it alone I was extremely dependant on my private singing students turning up, and paying, for their lessons. One week I would do quite well and have 8 or 9 students turn up, the next it could be as little as two as everyone else dropped like flies, sometimes with an interesting array of excuses. The turning point for me was a a year and a half ago when I started working for my first regular theatre school. So now it isn't all private lessons - staying at home, drinking tea while people sing at me - I also teach at two theatre schools. This meant that I have became less reliant on the private students turning up as I know I can pay my rent at the end of the month regardless. However, that is not the point. The majority of my students are respectful. They only cancel when they have to and try to give me as much notice as possible and I never object to them cancelling. I am not stupid, a singing lesson is only a singing lesson. Sometimes it is not a priority. Life gets in the way and you have to concentrate on other things. I get that. Although, having said that, sometimes the best thing you can do when life gets you down or you are a bit stressed is go and have a good sing. Unfortunately I will always have a few students who don't understand what I do and that I actually make my living doing it. They will think nothing of booking in for regular lessons at the same time every week and then cancelling 3, 4 even 5 in a row the evening before (or on the day) not realising that that means I don't get paid or that, had I had a bit more notice, I could have given that time slot to another student. Many colleagues of mine tell me I should get people to pay in advance for lessons either singularly or in a block. I have been reluctant to do this up until now because I like people to feel they have some flexibility. I am thinking about it but have reached no decisions as yet. I don't want people who are genuinely ill coming to my house for a lesson because they have paid for it and think they will lose that money if they don't. Of course there would always be an element of discretion on my part but, for the most part, my present system works. So as we enter the Christmas season, all I ask is that students think before they book and think before they cancel. That way I will be a very happy teacher, you will be a happy student and I will have no reason to vent again. Just be yourself...not who you wish you were. So, starting this Singing Stars blog has been a wonderful thing for me (hopefully for you too, but, if not, give it time). It has inspired me to look into more singing techniques and how to break them down in order to teach them better. I have spent days, literally days, watching YouTube videos and webinars to see what others have to say (it's so cold outside at the minute so any excuse to stay in the warm). I am not simply nicking other people's ideas I promise. I am working out how to put other ideas into my own teaching without changing my approach. I suppose the fact that I am not performing (or even auditioning) at the moment has given me a new lease of life as far as my teaching goes and I am determined to become as good a teacher as I can. I come from a Bel Canto background but am fascinated by other techniques, such as Estill or SLS (speech level singing) however I hate labels and recently found a YouTube channel called "Singer's Secret" run by an Australian woman called Nicola Milan. She speaks a lot of sense and doesn't get bogged down with too much jargon. Obviously she is gearing everything to the beginner singer but there are lots of great hints and tips about technique and also about performance. Deffo worth a look. As a performer, people will constantly try to pigeon hole you and I don't intend for that to happen with my teaching. I want people to have one voice. Their own voice. I am constantly striving to enable my students to move between their chest voice and head voice seamlessly. Get rid of clunky gear changes and work with what they have got, not what they wish they had. Nicola said a very interesting thing in one of her videos "there is no one that can sound as good as you can when you sing like you. However, on the flip side, you are never going to sound as good as an artist singing a song written specifically for them or by them. Everyone is unique". She then goes on to say you do your own version of a song, don't copy. This is something I try to instill in my students. Just because someone sings a song in a certain way doesn't mean you should. The number of students that come to me and try to sing a carbon copy of Taylor Swift's latest offering is staggering. They try to copy everything and if you try and tell them that is not what's written the student will tell me I am wrong. It is a constant battle to try and get beginner singers not to rely on, and sing like, their idols. I would love to be Beyoncé but it's never going to happen so I would never attempt to sing one of her songs in the way she sings her songs, I would think outside the box and try something a little left of centre. I feel it is my mission in my teaching life to make sure as many people think in this way. We already have a Beyoncé, a Taylor Swift, an Ed Sheeran. We don't need another. However we may need you when you sing like you. Be yourself, don't try to be someone else. So, here is post number 2 already. Don't worry I won't bother you like this all the time but I thought I would write this as I had lunch yesterday with a fellow singing teacher. Teaching singing can be a lonely business and it is important to meet with other teachers from time to time. This way you get to share ideas, talk about teaching frustrations, share success stories and get a bit of adult conversation (if you've spent the weekend teaching kids). It is important to have someone who understands how insecure you can feel when you are teaching. When I perform I feel like I am only responsible for me but when you teach you feel a responsibility for your student too. If they haven't learnt the song I told them to learn last week I feel responsible which is, frankly, ridiculous. I can only do so much. If a student comes to me once a week for an hour or half an hour I can only do so much in that time. Between the end of that lesson and the beginning of the next the student has to be responsible for putting the work in. When I was a student I could be lazy, we all can, but I used to want to practice so I find it bizarre when students come to a lesson and say they haven't practiced. Singers are like athletes. People say that all the time and it is true. If an athlete trained once a week for half an hour and did nothing in between they would never improve. It is the same for singers. I just wish some students would realise this. So it was refreshing to talk to my friend and find that she had the same frustrations as me, the same feelings of guilt. I can't tell you how much better I felt after this lunch. I felt more confidence in my teaching abilities and felt like I am far too hard on myself when students fail to learn the words to their songs. That is one thing I can not do for them. Word learning is their responsibility, not mine. So today I started my teaching week (at the moment I have no students on Monday - so plenty of availability - hint, hint) with a renewed feeling of purpose. I have much to say and I can help students improve but no more spoon feeding. Go to the "Come Sing With Me!" page for more details on how to start singing lessons with me. Singing Stars of the World Unite! Welcome, welcome, welcome to The Singing Stars. 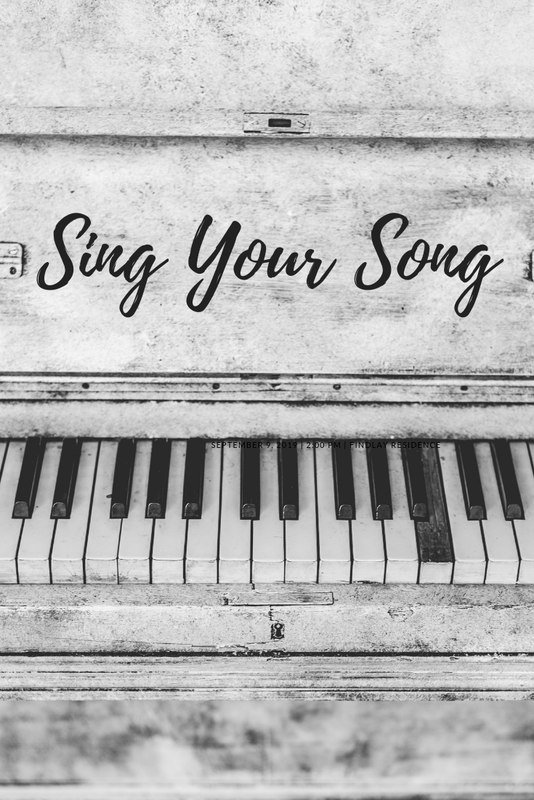 Here you will find all the details for how to start or continue your singing journey. My name is Claire and I am a singing teacher based in South Croydon. All the information about lessons can be found on the "Come Sing With Me!" page. This is also the place where you can follow my own journey through teaching singing. I am an avid blogger (this is my 3rd blog and I have another ready to go). My friends are probably fed up to the back teeth of my incessant posting but I can't help myself. Having started out as a performer I found myself teaching singing about 5 years ago in order to pay the bills but it has gradually become my main focus and I am constantly trying to better myself as a teacher and learning about new techniques to pass on to my ever growing list of students. I now teach singing at Cavat in South Croydon and Spotlites in Chatham as well as privately in South Croydon. So this inaugural post is just to say hello. Have a look at the "Come Sing With Me!" page and let's start singing.